During the summer my ice cream need kicks in! Since, it's been 100 degrees here everyday this summer, I have stocked our freezer with tons of the new flavors from Nada Moo! 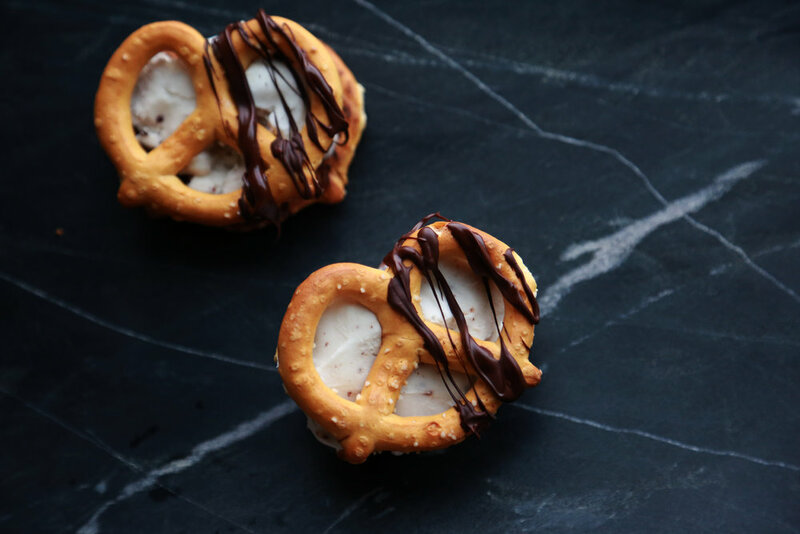 I thought about making a pretzel cookie to go along with the ice cream but then saw giant pretzels from Glutino, and that is where this started! Grab your pretzels, ice cream and some melted chocolate and dig right in!